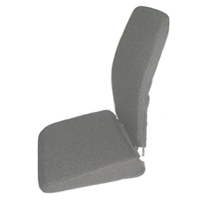 The Memory Foam Tapered Sacro-Ease Seat Support offers the highest degree of cushioning and comfort of any Sacro-Ease product. This "Seat Only" model is wedge-shaped to "fill" the dip that exists at the rear of many auto and truck seats. 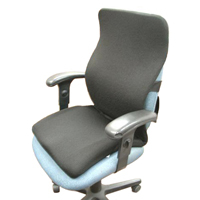 The tapered seat design also offers ergonomic benefits by elevating the hips which in turn helps to tilt the pelvis forward and restore the natural C-Curve of the spine. When correctly aligned the spine is able to better absorb impact and is also less susceptible to injury. 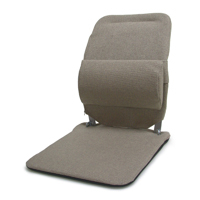 The Aidata Back Support consists of a formed high-density polyurethane foam pad over a plastic frame. 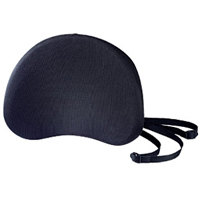 The result is a "one-size fits all" cushioned back support with a high degree of firmness. 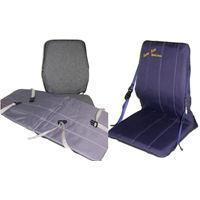 Adjustable straps secure the back support in place over most chairs and seats. The removable and washable cover makes cleaning easy. Note: Some users with broader frames may find the firmness of the concave edges on the support less than ideal for comfort. Due to the nature of this product we cannot offer our 30 day customer satisfaction guarantee on this product and there is no warranty on this product. 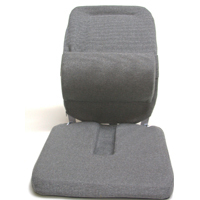 A great way to convert your Sacro-Ease Seat Support into a stadium seat or stand alone seating. 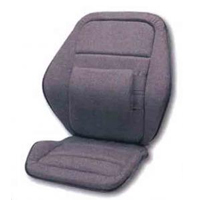 This sports cover fits most of the Sacro-Ease models (works best with units that have the twisted hinge), features a water resistant and durable fabric, and can easily be slipped over your Sacro-Ease Seat when you arrive at the game. When the game is over you simply carry it back to your car, slip it off and put your Sacro-Ease back in your car seat. Comfort wherever you are. No more hard, cold seating with no back support - now you can spend your time enjoying the game. Adjustable strapping enables you to allow for bulkier clothing on those cold days but still get the back support you need. Note: This product is available only by special order. Please note we are also unable to offer our 30 Day Customer Satisfaction Guarantee on this product. The Comfort Ease Night Splint is designed to provide relief for those suffering from Plantar Fasciitis, Achilles Tendinitis and other lower extremity overuse injuries. The molded outer frame ensures that applied tension is spread evenly over the entire calf and sole of the foot. 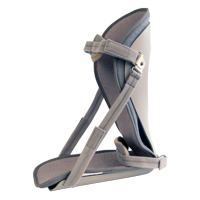 Variable tension control is provided by padded straps which adjust the Comfort Ease Night Splint from 90° to 10° of dorsiflexion, providing gentle stretching of the plantar fascia and Achilles tendon. 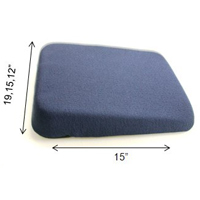 The lightweight breathable Lycra foam padding ensures a comfortable fit and helps to reduce heat buildup.